In your quest for the best web hosts to improve, expand and develop your website, Best-Website-Tools.com is a great place to start looking. Stretching over virtually any market, you'll find web tools to make you website an attractive place to visit. 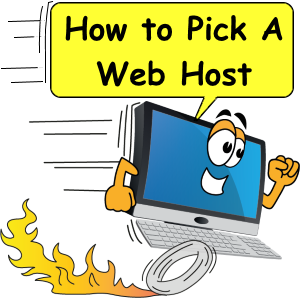 However, another tip is checking out the web hosting market. Many of the tools we offer on this site are also implemented in many web-hosting offers. There are some tools a proper webmaster simply cannot live without. And with the popularity of Internet expanding, more and more people are looking for ways to get started with their own website asap. Thanks to website building tools, 1-click pre-installable scripts and much more, you do not need to be a tech-engineer to build a professional website to fulfill your goals. Today's hosting services typically include all kinds of useful tools, easy to use directly from the admin control panel. Here are a few great tools you'll find in some hosting companies, but not all. Content management systems (CMS) such as Wordpress and Joomla are two great options for the inexperienced webmaster who wants to set up a professional, dynamic and easy to use website. However, with little programming knowledge setting up these free website management systems can be quite tricky, as databases have to be set up and several php-files configured. This is where the hosting provider steps in. Through advanced scripts the hosting customer are normally offered a step-by-step guide to easily set up a blog CMS. All the technical details are set up by the host and all you have to do is specifying the blog title, description, where it should go, etc. A priceless website tool that will save you a lot of time and patience. As soon as your website is up and running you need a tool to monitor traffic and statistics of your site. Website tools such as AwStats are commonly found and offered by the hosting provider where you will be able to see daily, weekly or yearly unique visits, domain referrals, searched keywords, etc. Last, but not least is the control panel. Many hosts have made the wise decision to use a control panel called cPanel, a user interface from where you can manage your website files, upload or edit through FTP, check your statistics, add sub-domains and email-accounts etc. cPanel summons all the best website tools offered by hosting providers for easy access and use. Be sure to include this cost when looking for a hosting provider. Additionally, if you are still looking for web hosts to set up your website, a great tip is heading over to SiteGround, where you not only will find the cheapest and most reliable hosting offers – you will be able to specify your website tools you wish to include in your hosting offer and search for the best available option. Special offer "Friends Hosting Special"